Love Your Clothes is a national sustainability campaign that aims to reduce the environmental impact of clothing across the UK and influence a more circular approach to clothing globally. 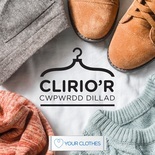 Launched in 2014, the Love Your Clothes campaign has been developed together with industry organisations to help change the way the UK consumer buy, use and dispose of their clothing. Every year an estimated 300,000 tonnes of used clothing goes to landfill in the UK. To help combat this issue, the Love Your Clothes campaign works to help inspire and influence consumers to make small conscious changes to reduce the impact of clothes on the environment. Ensure unwanted clothes are re-used or clothes unsuitable for re-use are recycled. Love Your Clothes encourages all partners to use the communication materials to run their own clothing and textile campaigns, events and workshops and share the messages to influence behaviour change amongst consumers. 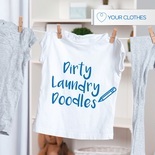 In this collection you'll find information about Love Your Clothes' campaign, Dirty Laundry Doodles. 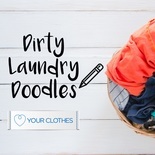 Dirty Laundry Doodles aims to raise awareness around washing clothing at lower temperatures and how caring for your clothes helps to keep them in use for longer and reduce impacts on the environment. We're asking partners to support the campaign throughout February and March 2019 by using the social media resources available. Step by step guides to doing common garment alterations and repairs. 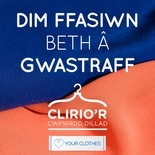 The guides can be used to support your own localised Love Your Clothes campaign by adding your organisations logo. Step by step guides to upcyling garnents into new items. 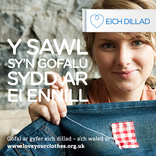 The guides can be used to support your own localised Love Your Clothes campaign by adding your organisations logo. Love Your Clothes resources for The Big Closet Clear Out now available! Download the social media posts and images and use them to support The Big Closet Clear Out - encouraging the UK to keep their clothing out of the bin and out of landfill. 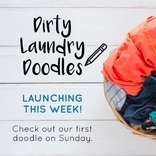 Help Love Your Clothes spread the word about caring for clothes and washing at lower temperatures by supporting Dirty Laundry Doodles!